The SPX opened within the support area of 1336-42. 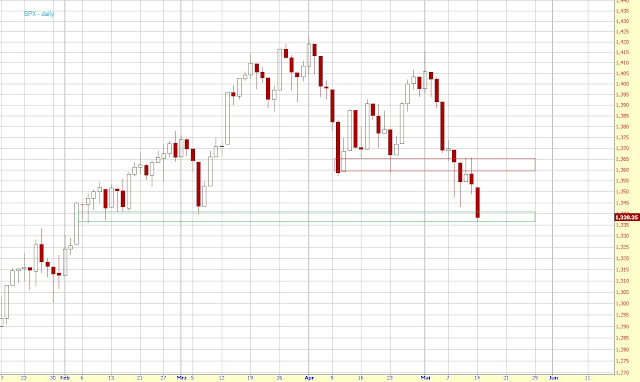 Shortly after the open we got a nice bounce to 1347 but by the end of the day we were back near the opening levels. 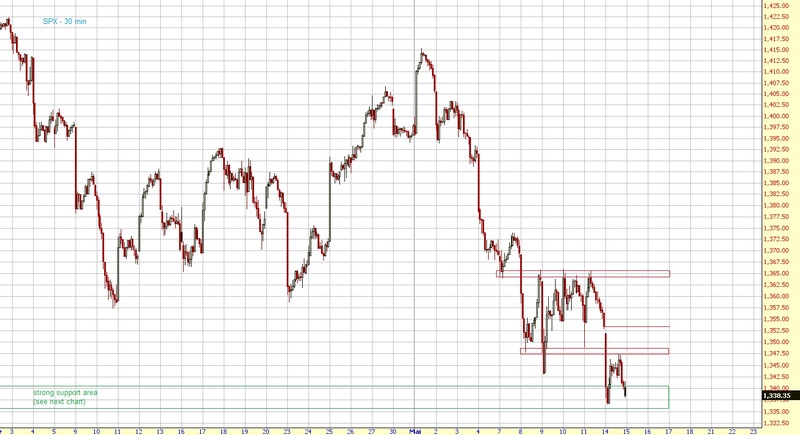 I'll post an updated Elliott wave count tomorrow morning.